Tomorrow will be your last chance to watch the Rockets play at home until after the Christmas break. They’re set to faceoff against the Victoria Royals in a Friday night matchup at Prospera Place. 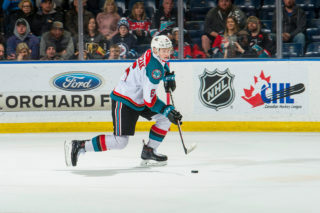 Kelowna is looking to close out their three-game homestand with a win, they defeated the Tri-City Americans Wednesday night in a shootout. Forward, Kyle Topping says that the team is excited to play at home one last time before the break. Tomorrow will be the fifth time the that the Rockets will battle the Royals this season. The division rivals last saw each other on November 23rd when the Rockets defeated the Royals 3-2 at home, Leif Mattson scored his 100th career WHL point on an empty net. The two previously met on October 5th in Kelowna where Victoria skated away with a 4-3 victory. 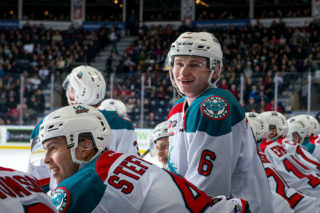 The Rockets travelled to the British Columbia’s Capital for back to back games on October 19th and 20th where the Rockets exploded with offence winning the first game 8-2 and the second 5-1. Kelowna and Victoria will play each other three more times this season with all the games coming in the new year; January 25th in Kelowna and back to back games in Victoria on February 18th and 19th. The Rockets are currently in second place in the B.C. Division with 28 points and a 13-15-2-0 record. They’re two points ahead of the third place Victoria Royals who have six games in hand on Kelowna. 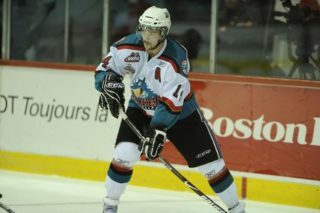 The Vancouver Giants are in first place with a 20-6-2-0 record and 42 points. After Friday nights game the team will pack up and head out on a four-game road trip before going home for Christmas. 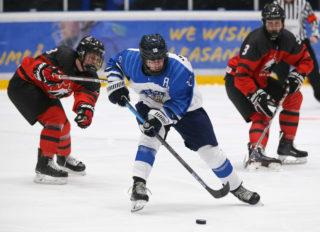 They’ll play on Tuesday the 11th in Kootenay, Wednesday the 12th in Lethbridge, Friday the 14th in Calgary and Saturday the 15th in Medicine Hat. 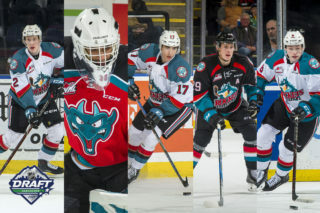 Following the break, the Rockets will play a home and home series with the Kamloops Blazers. The first game will take place in Kamloops Friday, December 28th before shifting back to Kelowna the next night. Season ticket holders will have first right of refusal on 2020 Memorial Cup presented by KIA ticket packages. Season seat packages are now half price off for the rest of the season!